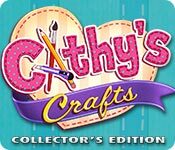 Cathy's Crafts Collector's Edition is rated 3.6 out of 5 by 53. Rated 5 out of 5 by anacaona from More please Meets every expectation. Nice follow up to the Emily games. Looking forward to a whole series. Rated 5 out of 5 by GloriaZinni from Cathys Crafts Love this game hope they come out with a #2 ! Graphics and story line was awesome! Rated 5 out of 5 by HRHLisa from Best Game in a Long, Long While! I can't say enough about how much I love this game. It's challenging with beginner, normal and hard. As a crafter, the designers did a great job representing the craft industry as well as providing a good storyline with likeable characters. My advice to anyone who's getting stuck - keep trying different items with different customers. You'll get through to the end. I was a bit embarrassed when I had to restart the game and play as a beginner. I've played each level of difficulty, with each more challenging. I really hope we see another Cathy's Crafts game! Rated 5 out of 5 by MOSCHOPS1 from LLOVED IT, LLLOVED IT, LLLLLLOVED IT I'm so sick of the HO games there's too many. I waited for ages for this as it came out on other sites 1st and Cathy's Crafts did not disappoint at all. 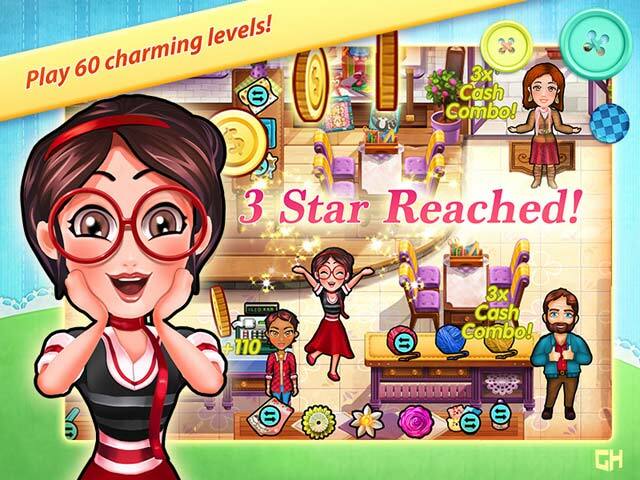 Long hours of game play and different levels of difficulty graphics are nice n bright n cheerful. bring on the next in the series I would recommend this game all day long. This is a game for all the family. Great!!!!!!!!!!! Rated 5 out of 5 by impulsive1 from If you love Emily you will love Cathy! I have enjoyed all of the Emily games and now I am hoping they develop a series of Cathy games. 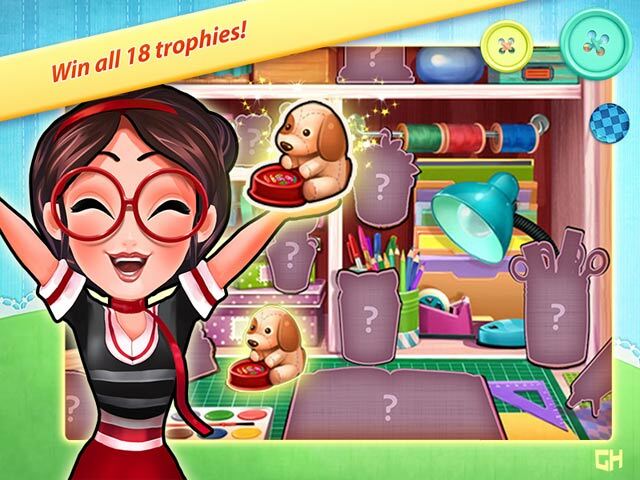 She is a sweet little crafter who just wants to do her art. 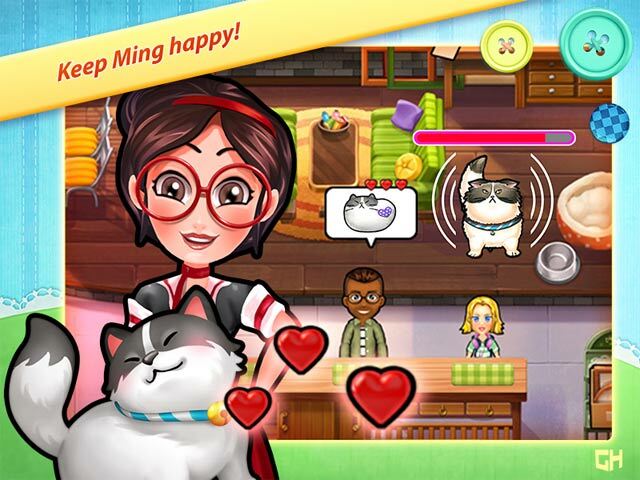 The story line could be much better though- Cathy has a horribly selfish boyfriend, a weird old friend who's cat, Ming, keeps wandering into her store and she just takes care of him while she runs the store. I like that you get to choose what is sold in the store based on the customer base coming in each day so you can change it up on every level. Some of the levels can be more difficult to pass on the 1st try. Rated 5 out of 5 by lisajoy from Any Friend of Emily's is a Friend of Mine! I enjoyed this game as much as I do Emily's Delicious Games. Love the cat! I'm entertained; I'm challenged; and it's not annoying. That really about sums it up for me. Rated 5 out of 5 by Mimosa22 from Loved It I loved this game! It was so cute! I enjoyed looking at the pictures, and at the creative ideas the developers had for crafts. I also enjoyed the story, which surprised me a bit. The mouse was annoying to find, and the game was definitely challenging. But, overall one of my favorite casual games. I hope they release more like this. Rated 5 out of 5 by beestitcher from Love it! Great game. Very much like the Delicious series. I hope that this is the start of a new series. Just the right amount of challenge. Took a while for me to get 3 stars on every level playing normal. Now I'm trying for 3 stars on expert. Rated 5 out of 5 by shyanny01 from shyanny01 I love this game. Very enjoyable. I read the reviews that people said that they didn't like this game but to my delight I simply loved it! Thank you. I love TMG games. Keep making them. I love Ming. Rated 5 out of 5 by pjweimer from More please! MORE TM Games like this. There are too many HO games and more like this would be nice and make it worth having an account again. Cathy is chasing the dreams of others instead of her own. But once she discovers her passion, her strength will be put to the test. Will Cathy stay true to herself?